Welcome to MHF magazine. It’s an honour to talk to you guys. Thank you so much for making time for us. How are you doing? Great! At the moment all is just great! Sabaton is such an explosive live band and you play on these huge stages in front of thousands of people with this massive stage show. Then you come to America and play on these small stages in small clubs before a few hundred fans. You have to adjust the magnitude of your mindset and your stage performances. How do you do that? Since we just love to play it matters not that much where we play. So, we do love playing smaller clubs too. Of course we want everyone to get the full Sabaton show including tanks, explosions and all that we can bring to a stage. But in the end it’s about the music and I am glad we don’t have a problem changing our mindset to whatever the night’s attendance are. 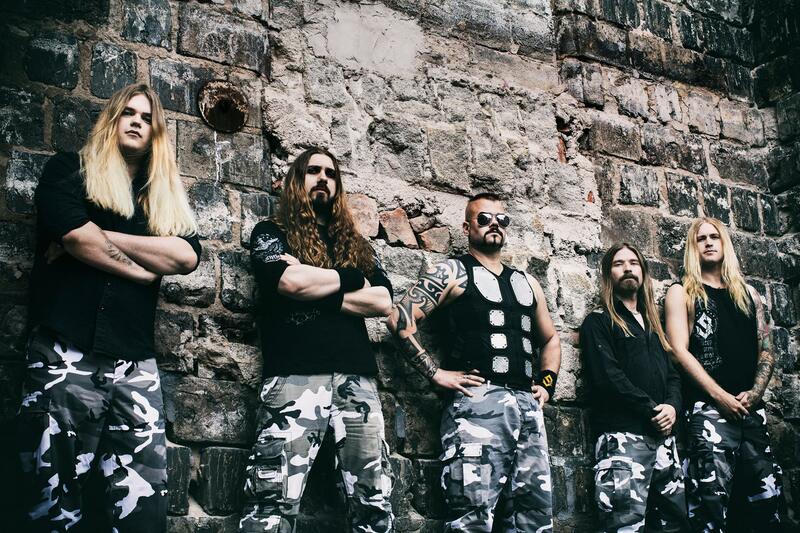 The growing success of the revamped Sabaton line-up has to have given you guys more freedom to be creative, it that a fair statement? The success finally allows us to enjoy life for full. We can now tour with professional crew, which fans for sure will love since it is them who get the better show without troubles. We can now also eat healthy and can sleep. All these things add up to that we can perform better and give the fans better show, so yes. This is the right way we are going! Tell us about your fascination in writing about wars and historical battles? 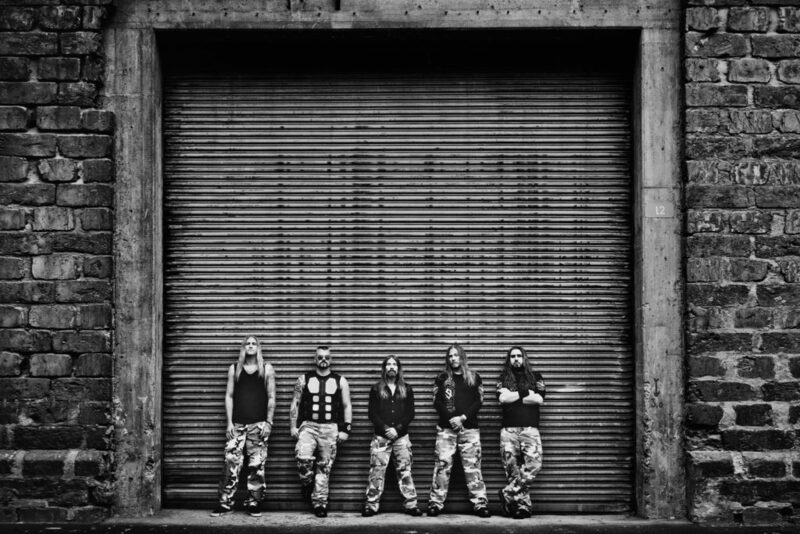 Lyrically speaking, would you call yourself a war metal band? We are a heavy metal band who sings about war history. We find this topic more interesting than anything else we can come up with that would fit us and our music. The music is far more important but the I think we do a good job on the lyrics telling a lot of unknown and some known stories. Regarding your vast knowledge of wars and history, what’s your take on the products of Holy Wars and Inquisitions? I prefer not to say anything. Since what I have learned is that everyone is so busy having right in their opinion that they don’t listen to other opinions and facts. For every conflict there are minimum 2 sides, we often meet people on both sides. Then you see that nobody of them has the ultimate and absolute right. They both always consider that they have the right to whatever they do. And this has been the story of the world as long as humanity lived. Sabaton was formed in 1999 and rose to fame in no time. How do you feel about your relatively quick success? What’s the key behind it? No time? More than half of my life I spent with this, and not that we sit and hope things happen. We do our own management. Not a single day passes without me working several hours. A normal day is 8-16 hours of work and no I don’t take holidays or day offs. Then maybe things seem to go fast for us, but we do in one year what some band stake 5 years to do. 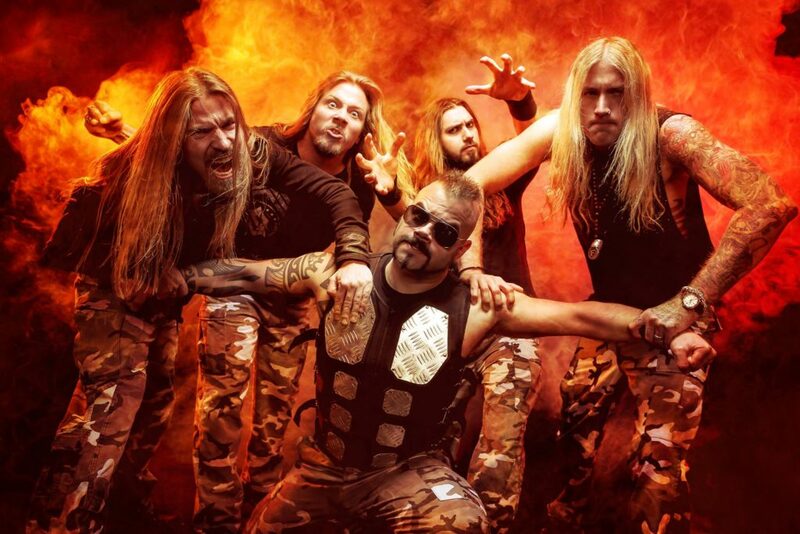 As of 12th- May 2015 Sabaton has its very own radio station, created in cooperation with Radio Bandit Sweden. How did you get such a magnificent idea? Since we don’t get enough airplay on the regular radios. We are not considered a radio friendly band since they usually play more modern music and not classical heavy metal. Then we decided that the best way we get people to listen to us on the radio was to make our own radio station. Tell us about the festivals organised in your home town of Falun, Sabaton Open Air in August and the annual cruise, ‘Sabaton Cruise’, in November. Sounds like a lot of fun! What are some of your favorite metal and non metal bands/musicians? Do you have any artists/bands that you can say influenced you in any way? The festival started as a one day small festival with local bands as the release party for our album The Art of War. Now it’s a 3 day open air festival with 2 stages, lots of bands and fans from more than 30 different countries making it one of the most international festivals in Sweden. Every year we aim to book exciting bands for our fans to enjoy. We don’t really mean to book the biggest bands who pull people since this festival is based around Sabaton anyway. This year it is 10 years anniversary of the festival, damn time goes fast! The cruise has not been around for 10 years but for sure several years. It’s always sold out in very short time, actually just a few minutes. The cruise goes from Sweden to Finland and back and we play usually two shows aboard with different setlists. When it comes to other bands, sure. I love Iron Maiden. They have always been inspiring to me, first as a great band with great songs. But now as we toured together they are also inspiring for their honesty towards the music scene and their fans. Based on your love for history, you guys must study a lot. Do you have any favourite authors/books you’d like to suggest for your fans to read? We study single cases, we can’t study history all the time. Ist not possible, if we decided upon a song topic we start with writing the lyrics until the song is done and we have started to record the album. This way the story will be fresh in our minds when we write and record it. What are your hobbies outside of metal? What do you like to do when you’re not power-metalling? I love to run, specially in the forest, and some video games. What are your views on the genre categorizing of metal? A lot of musicians claim to hate it, what do you guys think? I think that the categorizing is normally good since it’s a guideline to what you will hear. 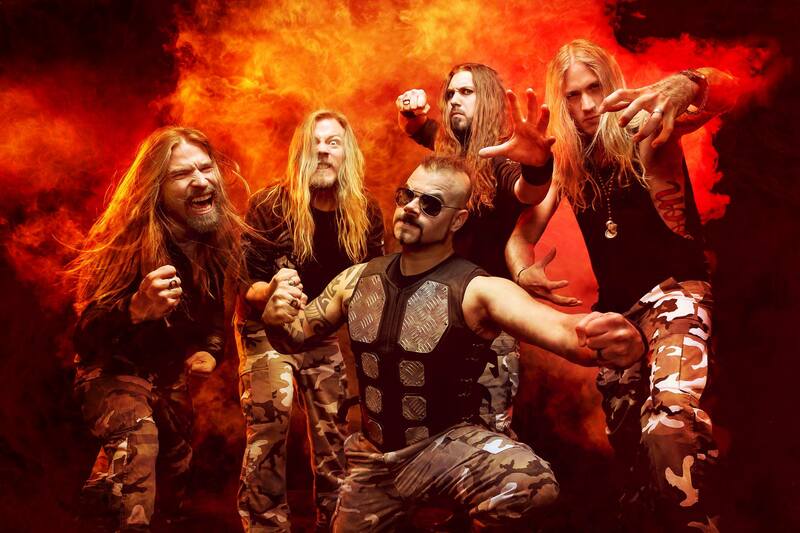 But Sabaton I softened branded Power metal which is a bit misleading since the two main attributes of power metal is high pitched vocals and fantasy lyrics and Sabaton has nothing about that. Following the last question here, what do you think of the new age bands with all the mixed up, new sub genres? Do you like where the scene is going? For sure I think it’s great that bands explore and try stuff. I don’t want everything to sound the same. Coming to your songs featured on 2 video games (Europa universalis IV and Heart of Iron IV), are you guys gamer’s as well..? I’m a gamer. Love games. But almost never have any time for it, but the cooperation with Paradox is perfect. We both do stuff about history and we both benefit on this! Similar to your previous album Heroes, The Last Stand is also a concept album, do you plan to keep on writing concept albums in the future too? For sure we don’t plan to change our concept totally, but exact what the future will bring is too soon to say. What is the wildest thing you’ve done on stage? Any interesting on-tour experiences you’d like to share with us? Nah. I don’t know that. I’m quite serious on the stage. There to perform for the fans. Maybe a very long time ago when we had lots of fans storming the stage at the last song I made out with a girl who later became my girlfriend. It felt right, and for a while it was the right thing to do. Thank you so much for talking to us. Please Leave a message for the greatest metal army In the universe! Don’t miss us when we bring the last tour on the road. It’s a very very big production we gonna do!